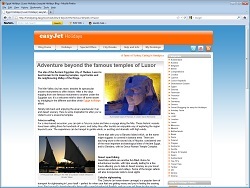 I write on a freelance basis for a variety of travel websites. In recent years, my press trip highlights have included trips to Galicia in northern Spain and the Lot Valley in France, while independent travels have allowed me to write about many other destinations - from adventures in South East Asia to springtime in Andalucia, summer in Provence, and winter in Mallorca. If you are looking for an experienced British travel writer or travel journalist to produce well-researched destination guides, travel news or features, please get in touch via my contact form or email me at contact@rebeccaburns.co.uk. 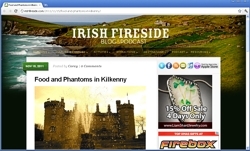 Commissioned to write about a trip to the Emerald Isle for well-established travel blog Irish Fireside. 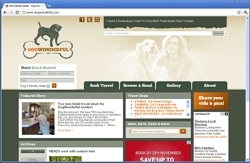 Blogs about travelling with your dog, written for a new U.S. website. 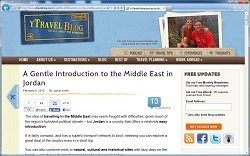 New and destination guides, feature articles and travel advice. 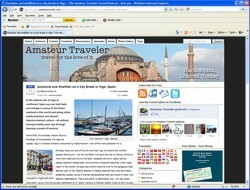 I have written for Amateur Traveler, a successful audio podcast and travel website run by Chris Christensen, who is also Director of Engineering at TripAdvisor. 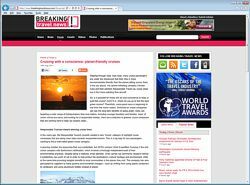 Amateur Traveler focuses mainly on covering inspiring destinations and up-to-date travel news. 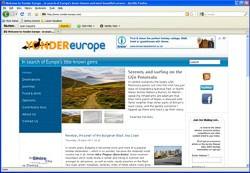 Ccommissioned to write several full length features for Yonder Europe, which focuses on little-known destinations in Europe. 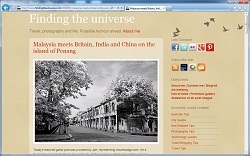 You can browse around Yonder Europe to see further examples of my work published there. I have heaps of other examples of my travel writing available on request. Please contact me via this website or email me telling me a bit about the kind of travel content you are looking for, and I can send you some relevant examples.